Kaihua Blue switches, which use a Cherry-style click mechanism, differ from MX Blues in several respects. Kaihua Blues exhibit a smoother force curve overall, which is particularly notable during the upstroke (orange line). It also manages to keep upstroke and downstroke force consistent, with less of a drop off during click reset. It has a sharp initial click, which is relatively low pitched, but the ensuing rattle (which is common in all click jacket designs) is louder and longer than the rattle in Cherry MX Blues. Some users think rattle is undesirable, so keep that in mind when evaluating the switch. 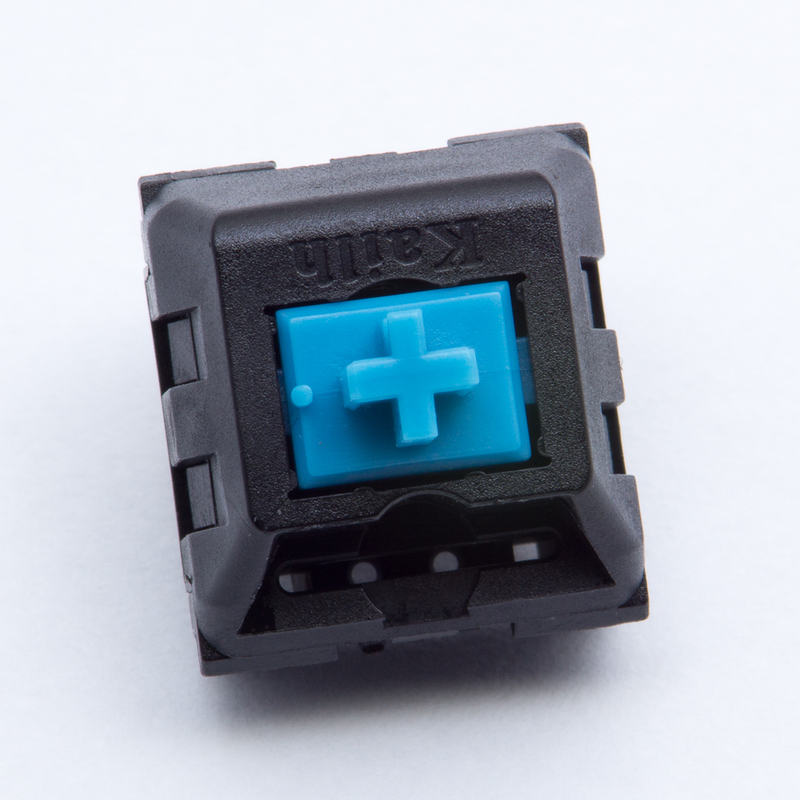 NOTE: We selected the Kaihua Blue SMD LED compatible switch for the K-Type. In our opinion, its smooth and consistent force curve provides a better typing experience than other competitors. Clear housings (which offer better light dispersion), LED light pipes (which help keep lighting bright and even), and hot swap compatibility were also valuable features for the project.